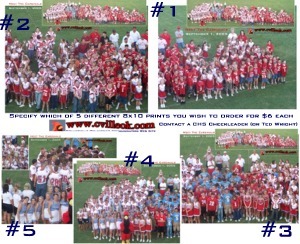 5 different 8x10 prints from "Meet The Cardinals" group photos are available for $5 each. Email: wrightted@aol.com to order or contact a CHS Cheerleader. Sample prints should be available at the home CHS games. It will take at least a week after orders are paid for before the prints are available.